You probably ask yourself what this kind of post is doing on a website which delivers private tours. Over the years, delivering private tours, I witnessed many times that our guests had falls comprehension of where they are coming and what kind of travel conditions they will experience here. From this reason, I will share these experiences of mine in series of posts. 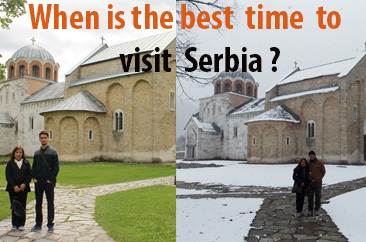 The first one, When is the best time to visit Serbia is related to weather conditions and seasonality. 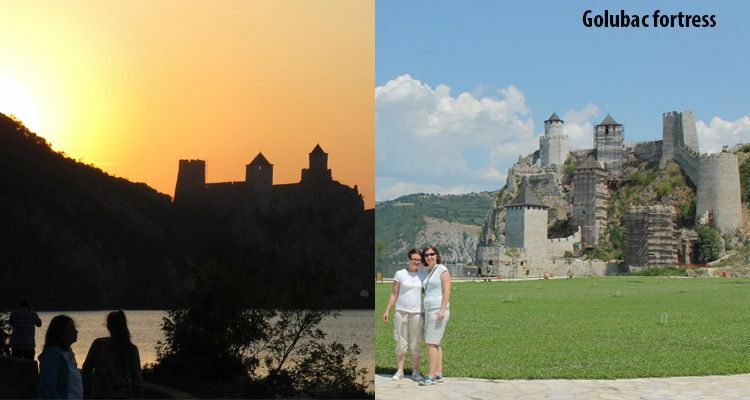 By dealing with most of the inquires received from travelers during their Serbia trip planning, I have noticed several typical mistakes made during the process. Here is what I noticed. Most common one is not taking weather conditions or seasonality under consideration. This as a result has that people usually don’t experience all the destinations they initially planned, simply because it was closed or not accessible during their stay. 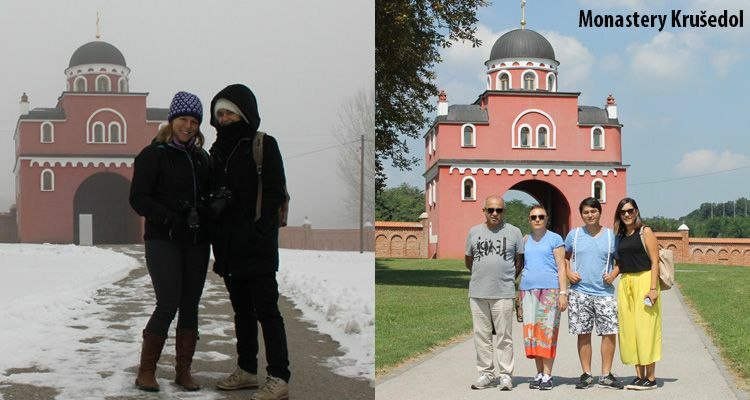 Serbia has proper continental climate, which means all four seasons are distinctively presented in all their charms. The reason for not taking weather conditions seriously, usually lays in the fact that travelers live in completely different climate conditions. They simply don’t pay too much attention to differences this basic travel component might cause. Not that they are unaware that here might be winter, summer or fall, but more that they don’t have the idea what kind of difficulties for them it could bring. Easiest case of disregarding weather conditions is not bringing proper wardrobe. More serious is not being able to visit some attraction or destination which was in your agenda because the attraction is closed or inaccessible. The fact that Serbia is in CET zone and that we follow daylight savings, means that in late December, January and February it can be pitch dark at 4pm. This limitation doesn’t leave many opportunities to explore areas distant from place of your stay, if you choose to go on day trips. Even if you take a round trip, your options are significantly reduced. Territory of Serbia is not big. It is around 88,000 square kilometers. Compared to huge countries such as the US, Russia, Canada, Australia, China, India and similar we are tiny. But don’t underestimate time needed to cover certain distances. Sometimes people coming from the big countries think that in Serbia everything is within short reach. If you make the same mistake you’ll be spending more time driving around than actually being on the spot. Ideal starting point for day trips is Belgrade, from there you can visit almost all major attractions or destinations in a single day and be back in the evening. 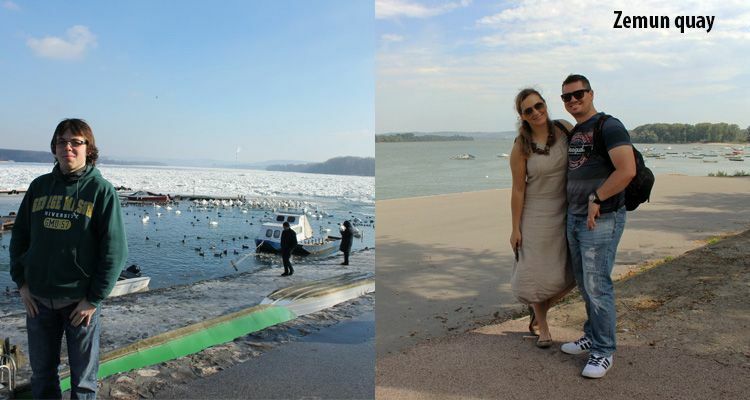 Alternative to that is to either go on a round tour, or to split your time and spend few days in Belgrade and few days in some other part of the country and do the day trips. In general, every period of the year has its advantages. Best time to visit Serbia would mostly depend on your interests. If you just want to spend some time in Belgrade and enjoy its vibrant streets, cafes and restaurants, any time is good time. Just pay attention to weather forecast, bring adequate clothes and you are fine. On the other hand, if you are planning to spend time enjoying nature or to visit certain historical or cultural sites you should opt-in for either spring or fall. In general, mid-April to mid-June and mid-August till end of October are suitable for every kind of travel plans. Summer months can be quite hot, in July temperature can go up to 38, 39 and sometimes over 40 degrees of Celsius. This period is good for trip planning if you like to combine some mountainous destinations, such as Kopaonik, Zlatibor, Tara, Stara Planina and similar. All of those are quite pleasant even during the hottest days. What I certainly wouldn’t recommend in the hottest period is to focus only on urban destinations. If there is no other way than to visit Serbia in July, then try to combine urban centers with nature. Winter is good if you are a winter sports person. 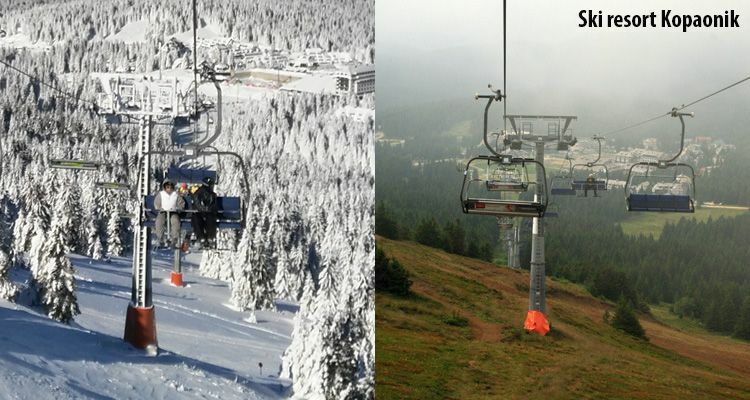 Serbia has few quite good mountains for winter activates and one top class ski resort, Kopaonik. Of course, Belgrade and Novi Sad can be great choices around Christmas and New Year. 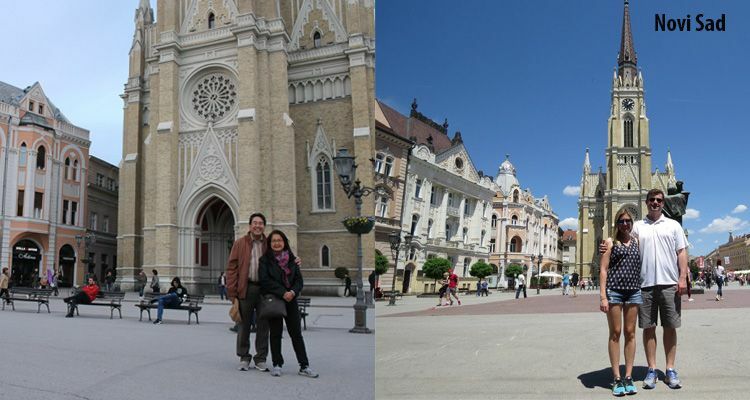 Basically Belgrade and Novi Sad are great destinations year round. They’ll cover almost all traveler’s needs nowadays. You won’t stay bored nor unentertained in any of those two. At the end let’s summarize when is the best time to visit Serbia. When planning the trip, the most important factors to take under consideration are seasonality and weather. Serbia’s climate, if you don’t choose dates wisely, might be your biggest enemy. Some attractions are located in secluded or remote areas, which can be very difficult or even impossible to reach during winter. Most of the sites in inland of Serbia can be closed or with short working hours in period November-April. For example, one of the biggest attractions in West Serbia, famous Sargan Eight train, doesn’t operate from 1st of November, till 1st of April (it does work for short time around New Year and Christmas). Also, ethnic accommodations and guesthouses in rural areas are closed during winter, due to low interest and high heating costs. Monasteries will receive visitors only till 4pm during the same period. 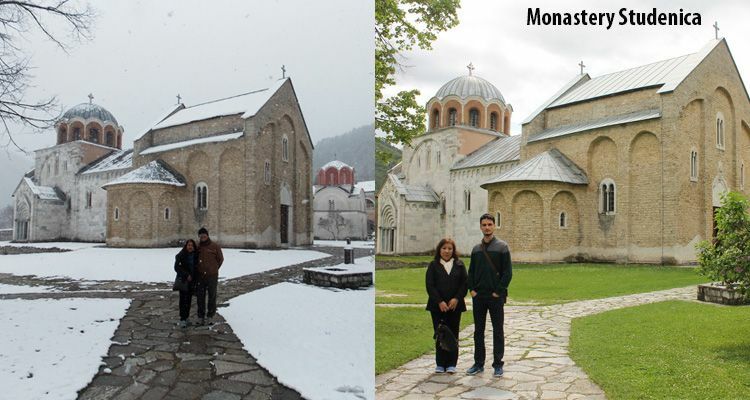 Usually in summer part of the season, you’ll be able to visit monasteries till 6 or even 7pm in certain cases. Luckily, these things are changing over time, 5-6 years ago it was unthinkable to find some attractions open during winter, but in a recent year or two it’s changing. Tourist season extends from year to year. Bottom line is, if you don’t have wide list of places you want to visit during your stay in Serbia, then you are good to go in any time of the year. This is usually the case when you just want to spend few pleasant days in the city with doing couple of short day trips. But if you have very detailed interests, and you have long to-do list, then choose late April, May, June, late August, September and October. If you have any questions related to best time to visit Serbia, feel free to pop a question through below form or if you have an experience to share leave it in comments. Hi Kevin, thanks for reading the post! Well, I won't be surprised if we have another (or two) cold waves to come. But it seems that for the moment Spring has arrived. Stay well!